Welcome to our introduction page for the newly released 1.13 mod of JA2 Vengeance: Reloaded. 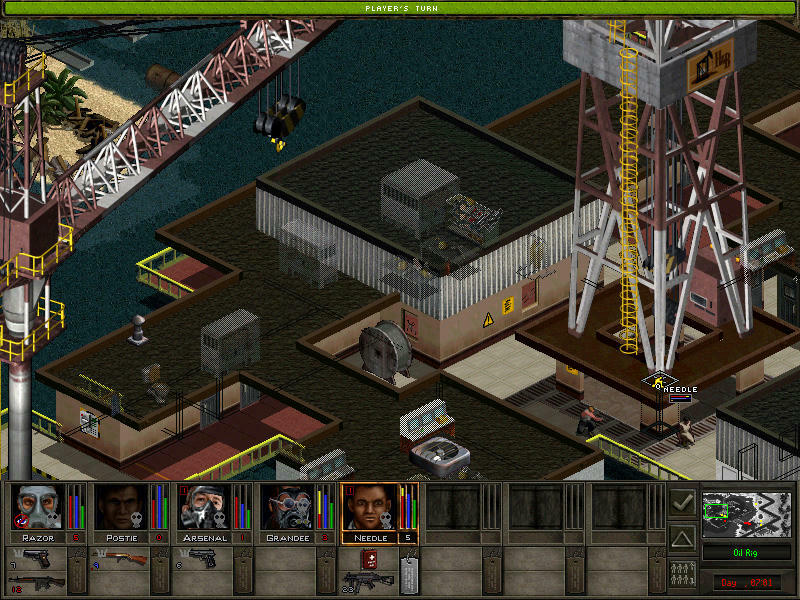 An unofficial sequel to JA 2 following events from the first campaign in Arulco. A very early Beta version is soon to be released to the public which amounts close to 6 years in the making by a small team of dedicated modders and contributors. Some members have come and and gone and along with them and all the fine developers in the modding community that came before, far and wide, that have somehow added and evolved JA2 we say thank you. Please also check Anv's website! 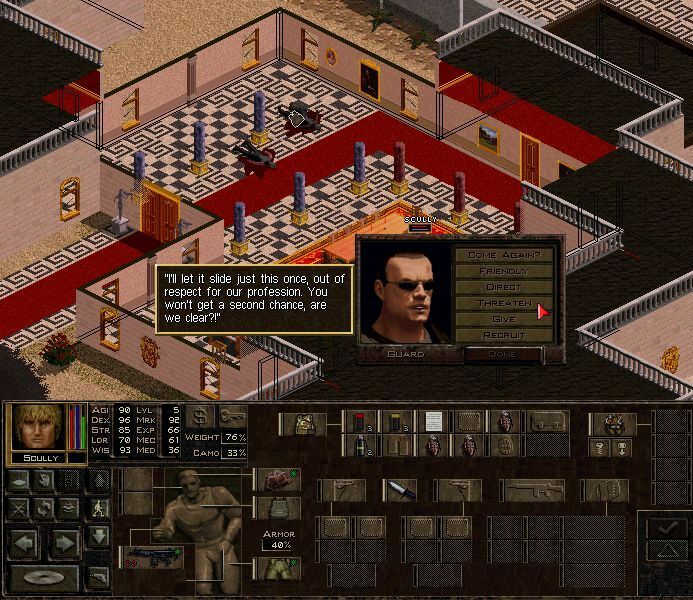 Players of the original Vengeance may be familiar with the plot line but Vengeance: Reloaded attempts to flesh out those stories and themes as well as introduce entirely new characters and quests while running on a 1.13 platform. The Scorpion himself gave us permission to adapt his original mod and he also proved to be invaluable when I first leaped head first into the foray of JA modding. ... In the hazy cordite clouded aftermath of the campaign to free Arulco, law and order was not restored quick enough, giving many war criminals supporting the Queen's regime opportunity to escape Miguel Cordona's forces and regroup. As international legal proceedings continued to dog Cardona's resources, lawlessness began to resurface and the criminals and warlords that had once been in hiding now began to reinstate themselves within the country and began a stranglehold in their own districts. This lack of security only seemed to attract more lawlessness, more criminals and more corruption and it was only a matter of time when the public became threatened by the very mercenary gangs that were supposed to be securing Arulco, they demanded for these foreign mercenaries to get out of their country. A.I.M had held training bases in Alma, which was soon handed over to the rebuilt Arulco defence force, but managed to keep a vested interest by basing themselves south of Omerta, where they were still welcomed by the loyalty of the people there. However, with the Government's long-term intention to throw the mercenaries out of the country, morale sank and they started to look for their fortune privately, some even started to work for Hale and Burton and the fat salaries they were offering. Then just as the unsettled country seemed to be sinking in a quagmire of bickering politics all hell broke loose, and one of the largest fears of Arulco's people reappeared in the shape of Queen Diedranna. Despite testimonies of senior A.I.M. staff claiming she was dead, Deidranna was once again directing her newly revitalized army from every corner of the country. Her face was in the newspapers, on the TV and her voice spanned the airwaves, claiming her sovereignty and promising death to all conspirators of those who had tried to overthrow her before. Her first major address delighted in informing surviving rebels that with the help from double agents AIM's base had been leveled in an overnight raid by her army. Your goal is, to find Miguel Cordona and restore his regime and find the traitors and punish them! 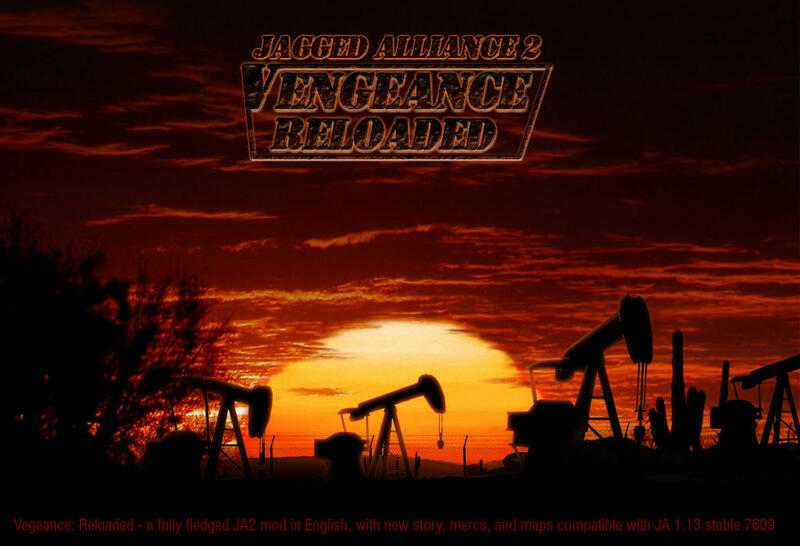 JA2 - Vengeance : Reloaded is a 1.13 mod based on the V7609 source code but using it's own exe and custom features. * Over 20 new characters to encounter, some to recruit, some to annihilate! * Extended Battlesounds - Your friends and foes alike now grunt, groan and scream differently! * New vehicles and more! How soon are we talking here? Would be nice to smash this mod out while still on holidays! We're hoping for an *early beta anywhere between 27th-31st December, but it's all dependent on real life and the busy time of year in general for our fellow bears. We've been talking about releasing a beta for the past couple of Christmas' but it's time to get the mod out there and people to start reporting bugs. *early = lots of bugs! Nice screenshots. Promises to be interesting. Santa is generous this year, thanks for the hard work and love put in this project guys! through the graveyard of killed hours. And you can't even imagine what I'll do to your character. I'm amazed that after 17 years there is still active modding ja2 community. Well I'm amazed I still play the game. Great to see a new tasty mod! There's still plenty of life in the ol' girl yet, and still plenty of work being done by other modders here in the community just check some of the other threads and mods as well as 1.13 as a whole. 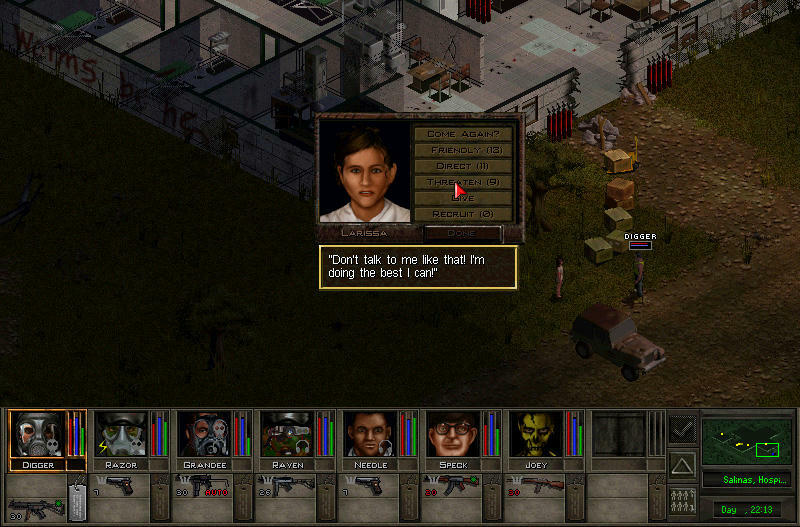 Personally I got inspiration after playing Renegade Republik and seeing what was possible in other great mods like Demise of Man and despite vowing not to get sucked in by modding myself I'm now a self-confessed tragic like most others here. Yeah. I`m currently playing the other mod - JA2 Reloaded with 1.13 r8246 otherwise I would volunteer for testing this candy at once. The next mod in my queue is combination of 1.13(7609) DBB MOD IoV 929 with Wildfire (duno if it will work anyway). For sure I will get V:R to my PC sooner or later. Regarding the Vengeance: Reloaded as "a weapons always hungry one", I must ask how many new weapons are there in the mod in comparison with to 1.13? It uses mostly stock 1.13 guns with very few added weapons. What may be interesting for some players is that enemy gun progression is based on what it should look like in real Latin America country, also there's no pure pistol period, enemy starts with SMGs and rifles. My 1.13 experience is many weapons, especially the most modern fancy ones, look cool but are not so useful. Maybe it is my playing style, maybe it reflects RL. Anyway my impression is there is place for improvement in terms of weapons' stats/progress. I guess this is not a main focus of the mod. Yes, this mod is mostly about new maps, NPCs/RPCs and quests, there are added new items and weapons, and many stock 1.13 items have better pictures, but it's not gun-oriented mod like IoV 929 or AFS or Aimnas. Currently in VR enemy starts with about 30% pistols at first level and on high levels he has no more than 10% of pistols. Actually they can be very effective in some situations because of very low AP cost, for example, enemy can often run 10 tiles and then shoot 1-2 times, this can be dangerous, especially in dense/urban terrain. You can attach any grenade/bomb to tripwire without need for any merges or transformations. You can attach some special items that will work like explosives and add special effect - gas can, alcohol bottle, marbles. Wow, this looks absolutely amazing. I can't wait to try this! Does the mod use the old AP/aiming system or it is just personal preference? VR uses 100AP system, but you can change it back to old 25AP system if you prefer that. Second question, sorry, VR supports OCTH only. But VR provides the new and challenging "DieHard" mode in the game settings instead. Be surprised! VR also still has Old Inventory system for old-timers like me. And before anyone asks, nope Big maps won't be happening anytime, ever. Oh why? How come I will make suppression fire with long series of bullets in autofire? Just for taste of future fun I've run the mod for a few minutes and my first impression is very positive! The first sector is very climatic and my overall feeling is the start is very addictive. I afraid I'm in the middle of the other camping so further fun with the mod of yours must wait a while.. (however there is temptation to to left it behind for this baby...). I hope there are MOLLE items in the mod. I do love the system. 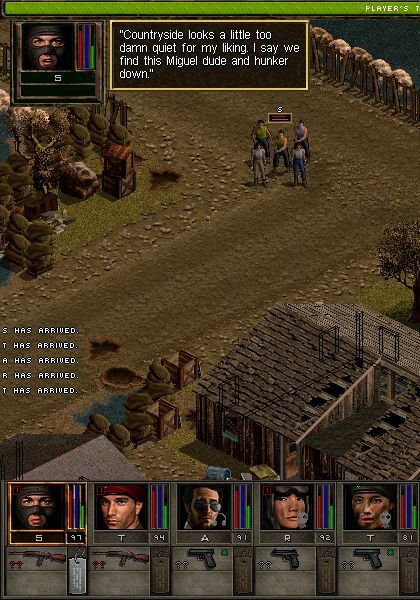 Die Hard mode is an extra difficulty setting that also limits your resources, you have no access to places like Bobby Rays and it encourages you to be more resourceful in-country recruiting local RPC's and 'living off the land' more than any other setting in the game. Both Schein' and Seven can tell you more. Mostly because it's too much work for a small team to support two different shooting systems. How come I will make suppression fire with long series of bullets in autofire? Suppression works well with OCTH. 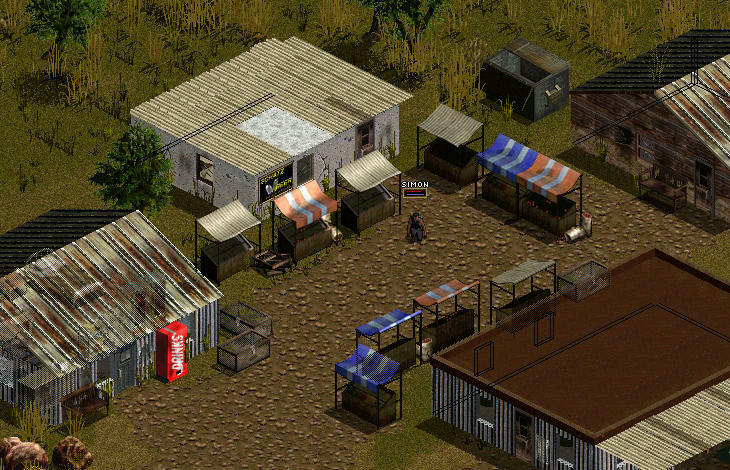 There are many MOLLE items in the mod. Maybe they need some testing though. MOLLE items in 1.13 are available only via Bobby Ray. Does Die Hard mean no MOLLE items in the game ? Glad to see this finally appearing guys , three cheers for the Team ! And a Happy New Year to all Bears everywhere . 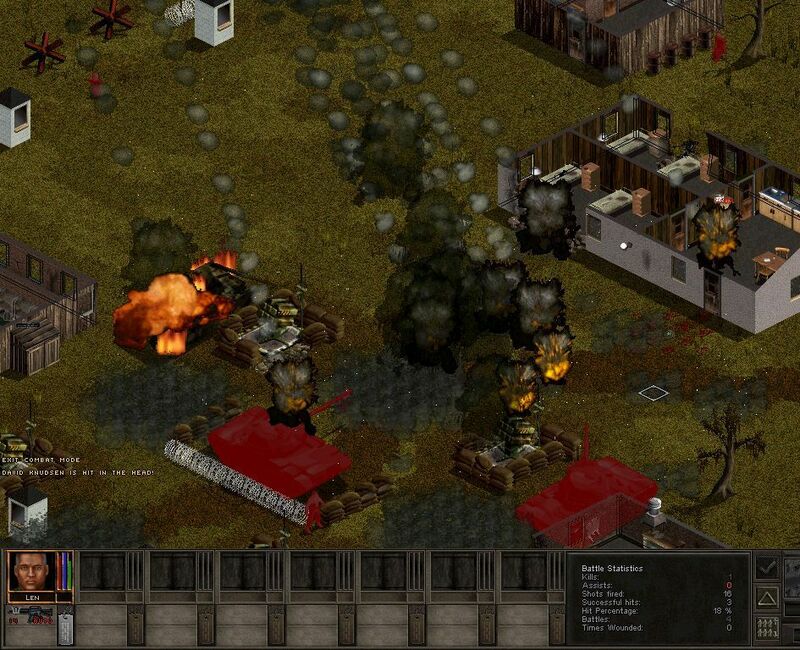 1)	I like sectors design, item images, new NPCs, weapons' sounds, taunts and music. 3)	Two highest levels of the game are almost impossible to start. A group of mercs dropped in the middle of road with no cover is immediately under heavy fire from many direction. Once I retreated to neighbour sector I was dropped into a battle where rebels were attacking an outpost (however the idea of outpost attack is quite entertaining itself!). 4)	I was experimenting with various IMP traits settings and found that despite proper numbers (according to skill ini) game was crushing just after parachuting a imp, to the starting sector. I know the imp was "overtraited" (not playing the mod seriously yet, just toying so maybe it also happens outside the mod). I will start playing RV seriously soon. It really deserves it. 3)Two highest levels of the game are almost impossible to start. A group of mercs dropped in the middle of road with no cover is immediately under heavy fire from many direction. Once I retreated to neighbour sector I was dropped into a battle where rebels were attacking an outpost (however the idea of outpost attack is quite entertaining itself!). Can't say about Insane level but it is possible and relatively easy to win starting fight on Expert level if you use right tactics and hire right mercs. You need at least two snipers (Leech+Buns) and two guys with SMGs for suppression, also hiring someone with grenades or TNT (that can be turned into several smaller throwable TNT sticks) can help. Then you choose good defensive positions for snipers and wait for enemy to come, use SMGs to suppress enemy (especially that bad guy with AK), use snipers to slowly kill enemy soldiers one by one. I haven`t thought of that, but... I`m tired of sniping. So I was trying to avoid it at beginning of the game. Other thing is many mercs (e.g. Lynx) are too used for me (Leech is not) and I don`t like some of them (e.g. Buns)...so maybe I don`t use the best approach, but refreshing one. My starting team nowadays is usually composed of non-Ja2 mercs (imp + 1lev new mercs most from JA1 ones - Spec + one mearetivian guide is a must). By average my team is weak...from zero to hero...I jazz things...for fun! So this uses the OCTH system or is it slightly altered? I've never played with the OCTH so I'm a little confused at the difference. I also don't understand how weapons have accuracy less than 0. It's very confusing even though I've played the latest 1.13 unstables and AFS! If you have the money for snipers try Grandee, he's quite a shot even with the mid-range CETME rifle and quite a beast close-up with a knife too. Wow, just want to say I love the "stories" just you pop up on. Great atmosphere ;) I'd say up there with fallout! Very excited about this mod! Before I start a game; are there any "recommended" settings to optimize the experience? Is it a good idea to play with the Food settings ON? Was the mod created/intended to play that feature? Hello Godspeed, and welcome to the pit. Vengeance Reloaded comes with it's own ini settings that we recommend. Food settings can be used but I must admit being fairly inexperienced with Flugente's feature, though we have attempted to provide some food items on maps. It is highly recommended NOT to use drop all due to balancing issues. Zombies have also not been tested a great deal, though I doubt they will break or unbalance the game. I am also personally not interested in the New Inventory, but most of 1.13's system is still working in the mod, and other members of the dev team maybe able to help with suggestions on that part of the game. Food should work, some mercs have food in their gear kits, you can buy food from BR or local traders. Drop all is not recommended for balance reasons (you can use 100% gun drop settings in EnemyWeaponDrops.xml if you want all guns, but with other settings using default values, this should be playable). MOLLE should work but not well tested feature. Difficulty level - it may be hard to play even on Expert level, so you may want to use Experienced, though this depends on you playing style and experience with 1.13. 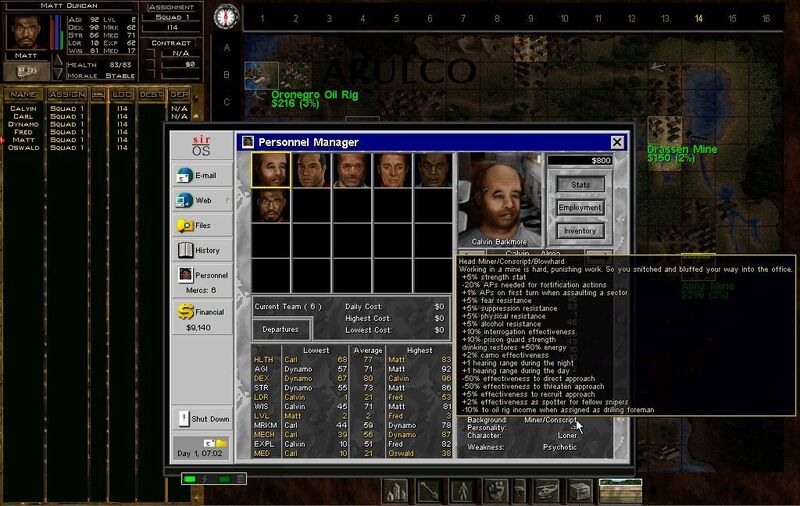 In general, it's similar to how you would play Arulco Revisited or other 1.13 mods. So many cool little things like disassembling the parachute for a carabiner, string and rag. All very helpful stuff at the beginning of this very hard campaign! Is there any sort of documentation for the little things like this? I'd hate to miss it! Unfortunately there's no official documentation, but like the original JA2 experimentation is your friend. Seven has outlined a number of his features elsewhere. 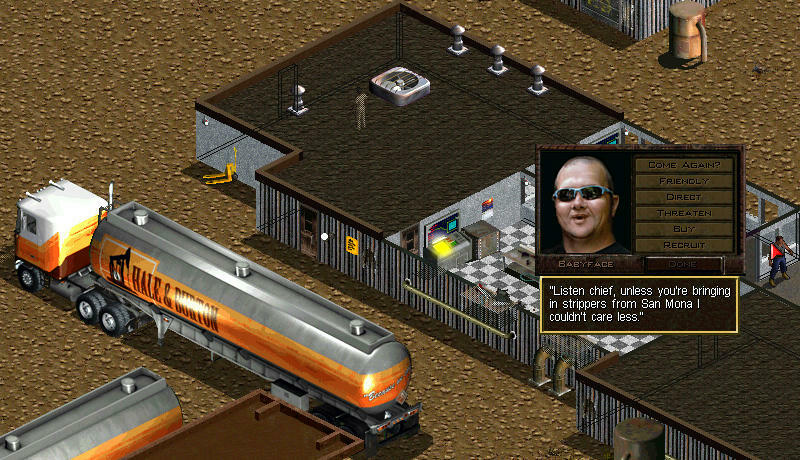 On another note, those playing for the first time would be wise to read the brief introduction and background story above to begin with as well as reading the revised recon report and emails at the start of the game, they have changed since vanilla. I can attest to this; suppression is actually very good! I regularly see militia and soldiers suppressing areas where they don't have visual sight. Could someone explain how the new driver system works? I always have a hard time figuring out how to put Skyrider as the pilot and it usually just happens by fluke.